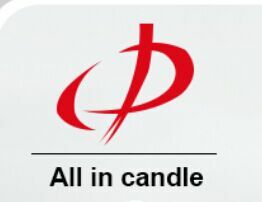 Product categories of Color Tealight Candle, we are specialized manufacturers from China, Color Tealight Candle, Tea Light Candles suppliers/factory, wholesale high-quality products of Votive Candles R & D and manufacturing, we have the perfect after-sales service and technical support. Look forward to your cooperation! Various products of Color Tealight Candle, providing product images and basic parameters with each Color Tealight Candle and 10G Red Color Tealight Candle; We are a professional Chinese manufacturer of Color Tealight Candle, and look forward to your cooperation! Aoyin people has time to have dinner together, we are more like family members than just colleagues. fluted candles, spiral candles, glass candles, white candles, pillar candles etc. With an experienced and professional team. we have exported our products to many countries and regions all over the world, especially Europe, Africa, Middle East and America. Our products enjoy a good reputation among our customers. We welcome customers, business associations, and friends from all parts of the world to contact us and seek cooperation for mutual benefits.